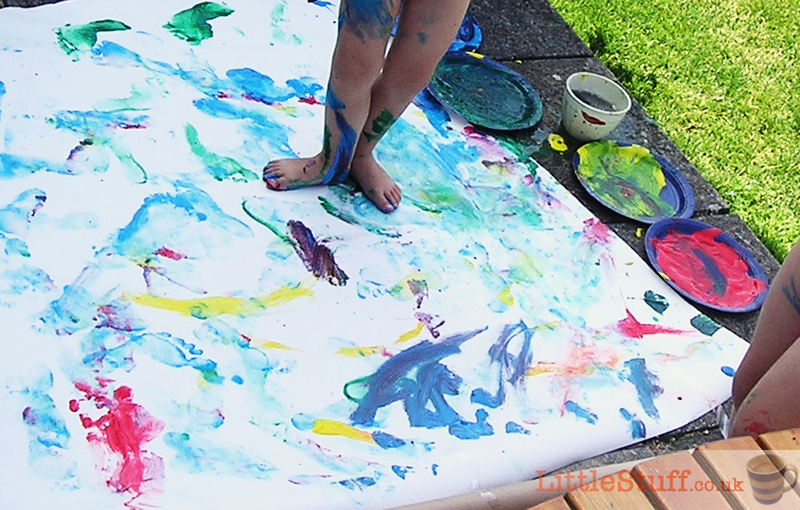 Life Is Messy – 7 Steps to stay sane with Messy Play. 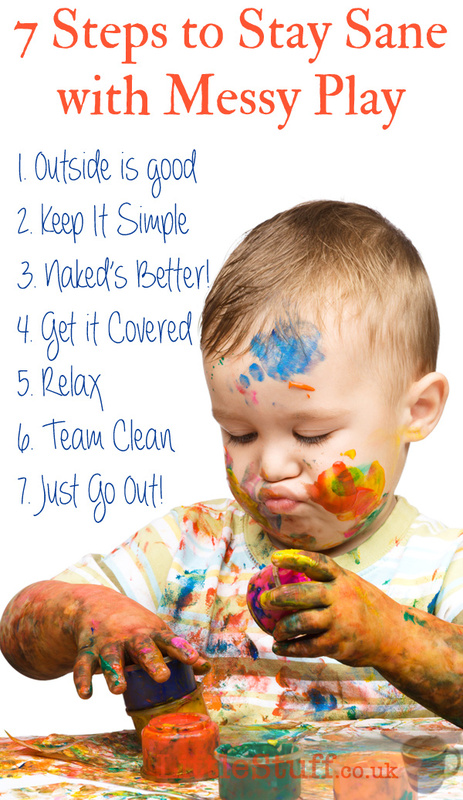 Home » Childrens » Life Is Messy – 7 Steps to stay sane with Messy Play. I’m raising four children, and in my (*counts quickly* *recounts as surely it can’t be THAT much* *sighs*…) 17 years of experience at this parenting malarky, I’ve learned the odd nugget or two of wisdom along the way. And one of the first things that pops up with traumatised parents of suddenly-active toddlers is messy play. That once calm and well-ordered house (let’s face it, babies aren’t capable of making a mess; even a weaning baby only makes food splatters in the one place you feed them. But toddlers? Good god. Your child finds it’s feet around the same time it finds its curiosity… and it’s like someone let a tornado off inside your house…) is suddenly the victim of an energetic and curious set of hands – and they want to explore everything. To head them off from checking out the glassware or the first aid cabinet, a little messy play is Good Thing. And yes, it causes gasps of horror in many domestic goddess brains… but if you organise yourself, you’ll grow to love it. I promise. I was really interested to see the results of a survey AO.com did last year about messy play (did you see that? 41% of parents discourage messy play…). Please – don’t be that parent. 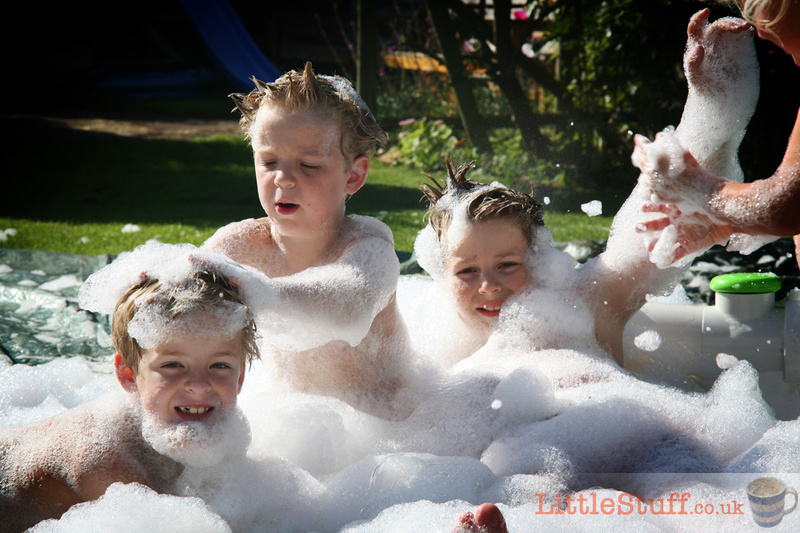 Don’t discourage it – messy play is so very awesome for so many reasons. Messy play gives children the opportunity to explore objects and materials like sand, water, chalk, paint, dough, mud, glue… The important thing is that it’s entirely unstructured and totally free – there’s no ‘right’ way to play, it’s all about whatever their brain can come up with. In the youngest children, it’s all about the senses – how does stuff feel, smell, taste (yes, they ARE going to lick the sand…). Making sand and water pour, drip and spill. Squidging playdough through tightly squeezed fingers or stamping shapes into it, rolling and squishing it. Older kids will relish the freedom of exploration, enjoying the tactile senses and building them into extended imaginative play quicker than you can possibly imagine. ‘Drawing’ in sand or making marks with paints or crayons are the early forms of writing for young toddlers, refining the motor skills they need, and making sense of those earliest random marks, quickly developing them into circles, and then adding ‘eyes’ to make a face. The same muscles will eventually be used for the technically tricky skill of holding a pen or using scissors. But on top of the practical benefits of messy play, there’s the emotional benefits of the unfettered freedom to just have fun. In our tidy, structured, orderly lives the sheer joy in being told ‘go for it!’ is incredibly liberating. So when it’s one of ‘those’ mornings and everyone’s just niggling, just stop telling your children off about their latest mess, present them with a huge sheet of paper and paint and say ‘get to it!’. Watch their faces light up. 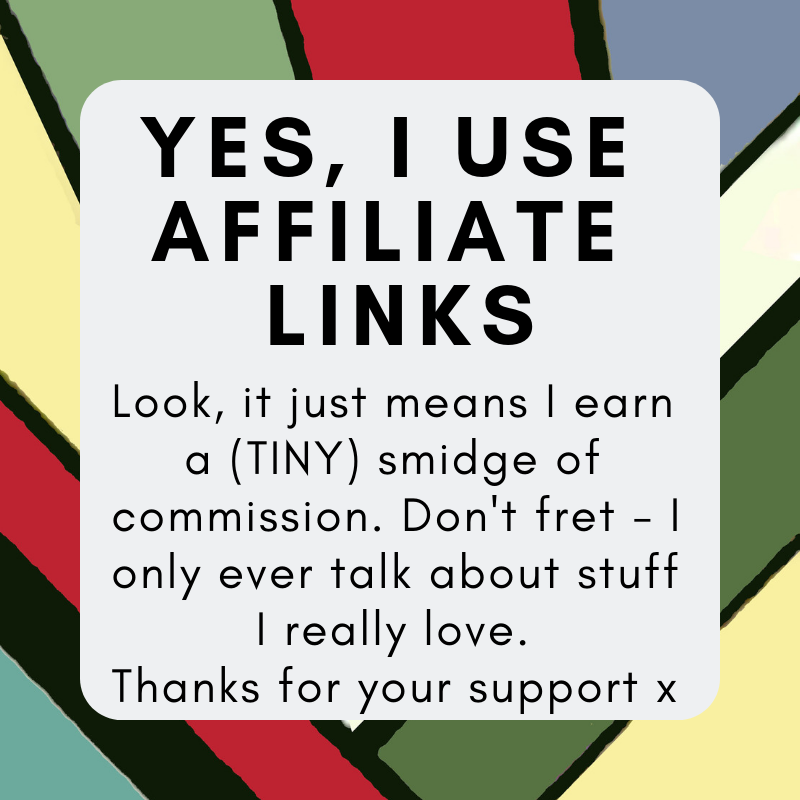 Heck, join in – you’ll love it just as much yourself. And apart from the truly excellent learning and psychological benefits – messy play is so very easy. You just leave. them. to. it. 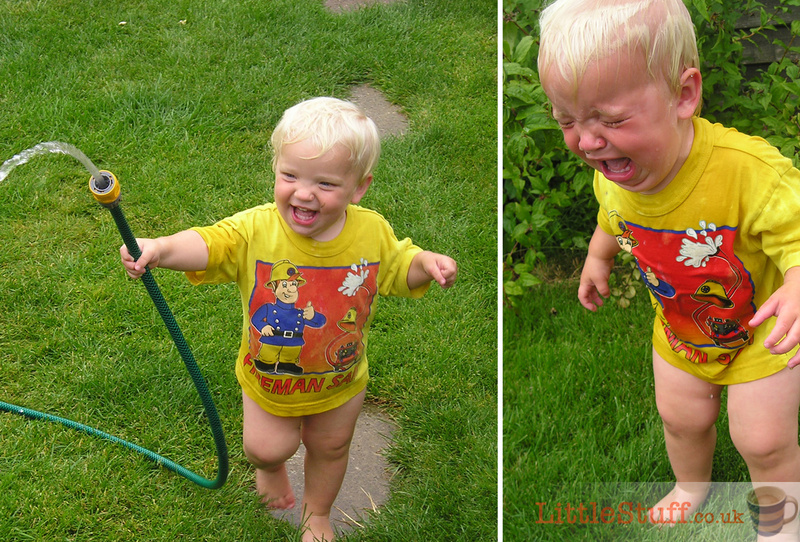 Fellow Lazy Parenting Tribe – I introduce you to your finest hour. You do nothing – and it’s brilliant for the kids. Not only will your child be absorbed and engaged and learning – but it actually keeps your house tidier. No really, it does. Because while they’re busy enjoying the area that you’ve set up to be messy-play-proof, the rest of the house is child-free. Brilliant. You just need to follow a few simple rules…. 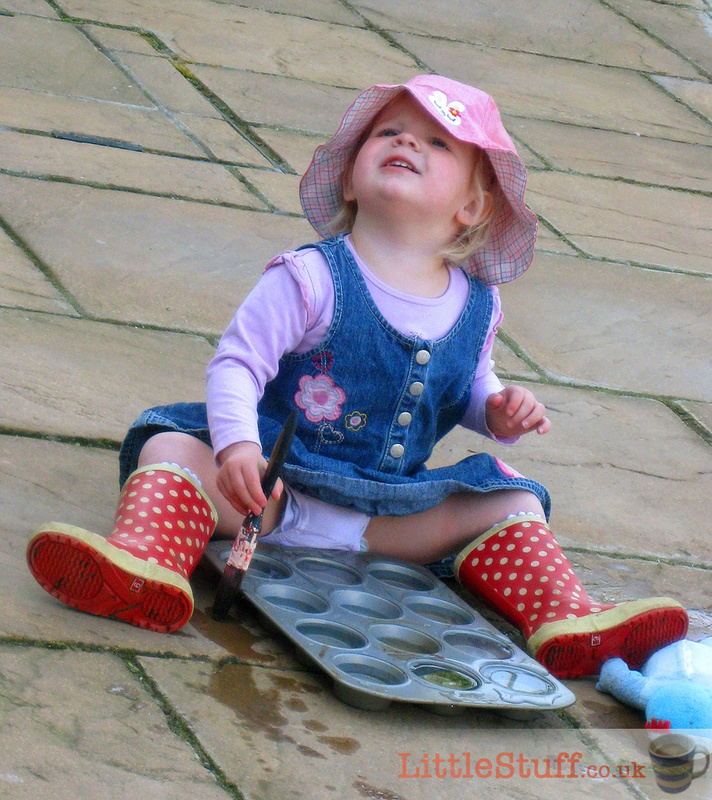 A baking tin filled with water and a paintbrush will keep a toddler happy for ages ‘painting’- with zero mess or clean up. Genius. If you’re doing any kind of messy play at home alone, then make it naked play for pre-schoolers. If they’re anything like mine then keeping them clothed all day is a tricky one anyway, but messy play with paints etc gets doubly fun if there’s no worries about messing up clothes. Paper plates with different coloured washable paints, and a huge piece of paper – this is an old piece of photographer’s backdrop, but wallpaper lining paper rolls are dirt cheap and endless (I’ve had to carefully crop this one to save two naked boys’ blushes…). They started with neat footprints, but ended up painting each other and almost rolling on the paper. Literally hours of fun! If you’ve prepped carefully, then now’s the time to enjoy it. Your children can’t have fun if you’re hovering nervously over them, asking them to be careful – the whole point is it’s free play. So either join in, or set the ground rules (no painting the walls is a good one) and then just go make yourself a cup of tea and ignore the chaos. Don’t let them get out of this bit – cleaning up is an essential part of messy play, and even the smallest of toddlers can help. After all, standing on a stool and washing brushes in the sink is a WHOLE new fun activity. Sweeping up sand into a dustpan? Good for another 15 minutes of fun. Teach them the chores are part and parcel of life from a very young age – and extend the learning while you’re at it! 7 – Just Go Out! Messy Play isn’t just about being messy in your house. If you simply can’t take it today, then dress for the weather and head out. 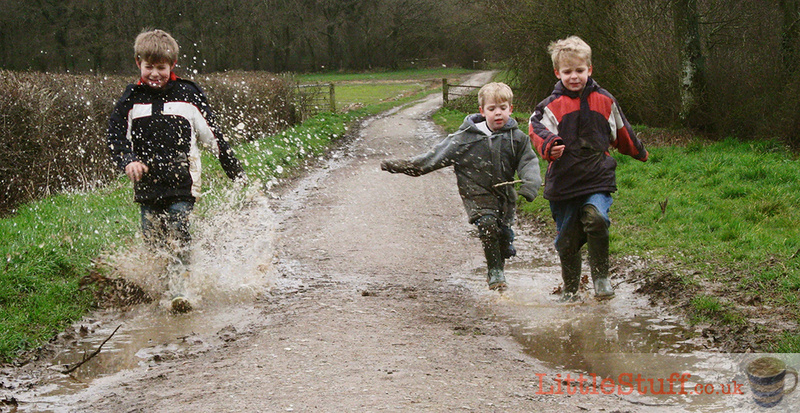 There’s just as much messy play to be had by jumping in puddles or building dens in the woods or paddling in the sea – and at the end of the day you get to go home and leave the mess behind! And always remember that clothes do wash – the picture below was taken on a chilly February afternoon after a whole week of rainy days. I started the walk off telling the boys to be careful not to get their clothes wet… then recognised an exercise in futility when I saw it. They had one of the greatest afternoons they could remember, roaring with laughter as they stamped and splashed and squelched, generally relishing the chance to soak themselves to the bone in cold muddy puddle water. We were out for a few hours, and I insisted they stripped to their pants when they got back to the car; there was no way those soggy piles of mud-ridden clothes were going on my car seats! But the clothes washed, the bodies got warm again – and the memory of that afternoon lives with them all, raising a happy smile even now, almost eight years later. 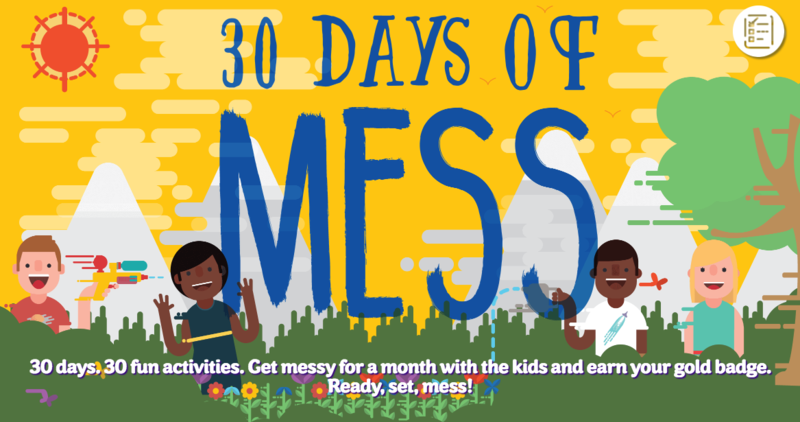 If I’ve managed to inspire you and you feel like upping your Messy play game, then do take part in AO.com’s 30 Days of Mess Challenge. There are 30 brilliantly simple messy play activities to tick off as you complete them – indoors and out, all kinds of fun. And once you’ve done all of those, you’ll be totally hooked and looking for the next messy adventure!